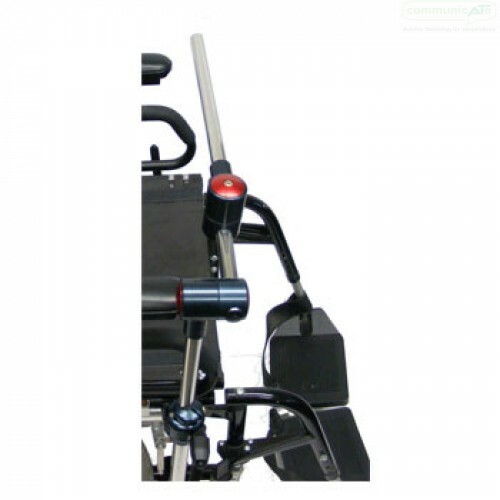 The Mini Adjustable Mount has several points of adjustment to setup and position the mount. 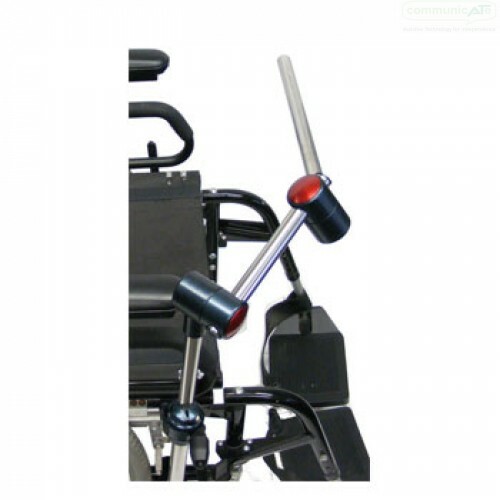 Two rotating joints can be angled and twisted in numerous directions to adjust the 'horizontal' tube position. 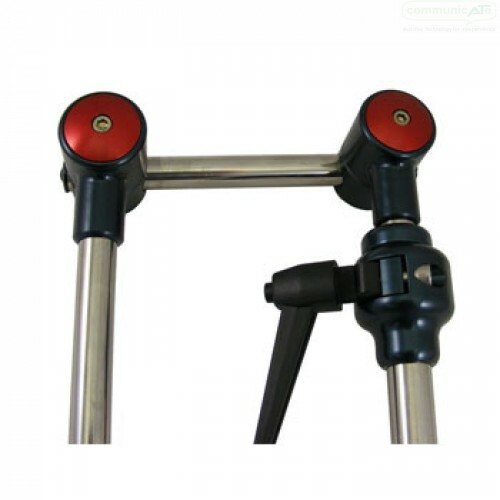 The Mini Adjustable Mount includes Real-time height adjustment of 23cm, no tools necessary. 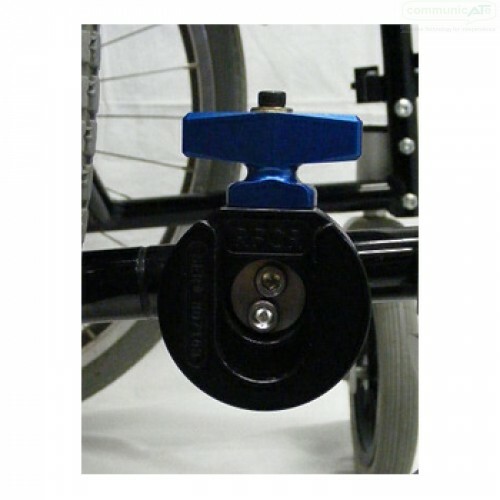 The Mini Adjustable Mount has several points of adjustment to setup and position the mount. Two rotating joints can be angled and twisted in numerous directions to adjust the 'horizontal' tube position. This mount is supported on the wheelchair by a Frame Clamp Assembly permanently attached to either the left or right side of the wheelchair. The Frame Clamp Assembly is composed of a Frame Clamp Inner Piece and a Removable Frame Clamp Receiver (RFCR). 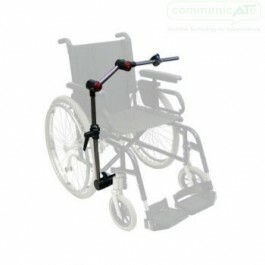 The Inner Piece is clamped or bolted to the wheelchair frame while the Receiver holds the Vertical Tube. Height setup possible between 46cm - 79cm from the Frame Clamp to 'horizontal' tube position. When needing to support larger devices or requiring a taller setup refer to the DAESSY Positioner Mount.